Mahalaya is the invitation to Goddess Durga to descend on earth, Mahalaya is the first day of Navaratri, Mahalaya marks the end of Pitri pokkho and is the beginning of the auspicious fortnight called Devi Pokkho, Mahalaya is the day of paying homage by our offerings of Pitri Tarpan to our departed ancestors, Mahalaya is the day of Devi Durga’s Bodhon or the drawing of her third eye, Mahalaya is the day of Ananda mela in Santiniketan, Mahalaya is the day when schools close for puja'r chuti (puja holiday), Mahalaya is the beginning of Bengal’s biggest madness and frenzy around Durga puja and Mahalaya is my Birthday. Banaras and other pilgrim places in India, this morning get up with the humbum of pilgrims gathered from allover India to offer homage to their ancestors. If we go by the legend of the Mahabharat then we will see that Karna (the eldest son of Mata Kunti) was known as data or Danveer (generous donor) he used to offer gold, money, property but no food. So after his death in heaven he was not given any food and finally was allowed to return to earth to do Annadan (offering of food). He did this for a period of 14 days, which is known as Mahalaya Paksha. 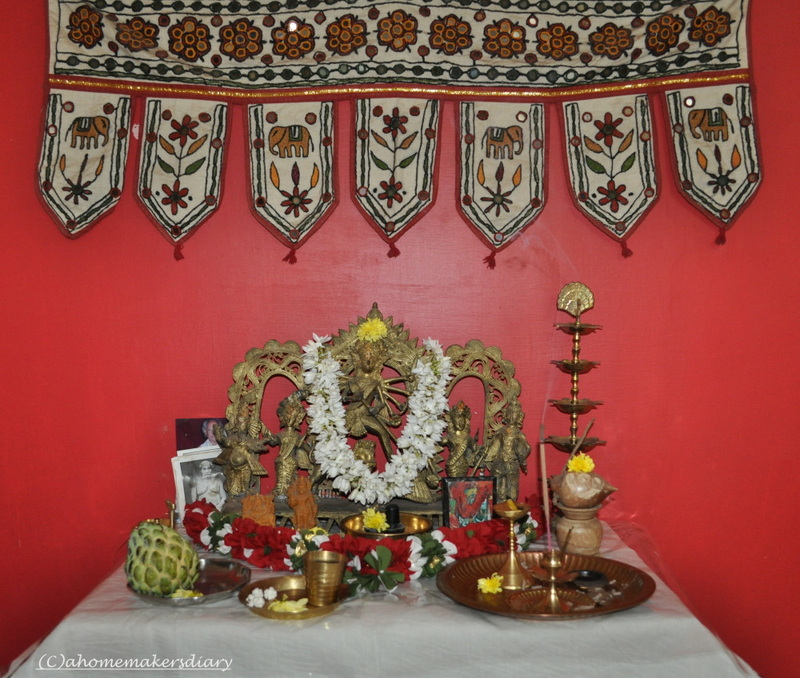 It is said that any offerings during this time is known to be very auspicious. For Bengalis this is the day of their biggest festivities. At the crack of dawn they wake up to the magical sound of chanting by BirendraKrishna Bhadra. While his reverberating voice fills each and every corner of the auspicious morning, the tup tap hum of falling siuli flowers on the grass tries to accompany it. The smell of soft ray of morning sun falling on the tiny drops of dew gathered whole night on the grass along with the delicate scent of siuli flower hangs heavy in the air. Bengalis wrap themselves in a light stole and looks at the clear morning sky, at the white cotton candy like clouds and thinks to himself Pujo ese gelo (the Puja has arrived). 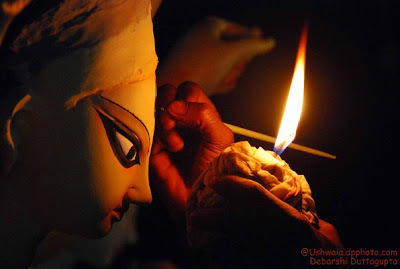 In Kumartuli, the hub of Potters in Kolkata will wake up early to take bath and were shuddha Bastro (washed cloth) then after offering a puja they will bring life to the clay idol by drawing the third eye on the forehead. This is the most auspicious part of making the idol and while doing so amidst the aroma and smoke of dhup and dhuno (incense stick) they reach a subconscious stage. I have seen them crying uncontrollably after drawing the eyes on the idol. In Santiniketan the students will wake up to a sweet melodious tune of Rabindra Sangeet. They would be over joyous as this day mark the end of a school session and a beautiful gathering on the Gour Prangon(ground adjacent to the university) called Anandamela. Students start preparing for this eve many days before hand. Whatever skills they have from stitching, embroidery, clay modeling, cooking would be put in a good use with a cause. Mothers would be haunted after, by their little and not so little ones to prepare big bowls of ghugni or other savory items. Teacher will call student home the night before to grate coconut or rolling narus. Craft teachers will gather and set the prices for the handicraft products created by students and on the evening of Mahalaya all will gather in the ground in their tiny handmade shops to sell whatever they have prepared. The whole evening the kids will chase prospective customers to buy a handmade wall hanging or a plate of alur dom (curries potatoes). And at the end of the day teachers will count all the money and send it to the student’s union to help the needy students with books. In my house the night before Baba would take out the old radio from the cupboard and will clean the dust. Even before the sun sends his first ray Maa will wake us all up. With hot tea and horlicks we will sit close to each other to share our warmth on the pleasantly nippy morning and will listen the Sanskrit recitation from Mahisasur Mardini (The Annihilation of the Demon.). While BirendraKrishna Bhadra’s reverberating voice filled every nook and corner of our house with the chant of 'Namastasyai namastasyai namastasyai namo namah', Maa would bring out the gifts for my birthday. The ecstatic I, and my brothers will then gather around to see what book and dresses I got this time. By the time I wear my new dress to show them the fitting it would be time for our special breakfast with luchi, alu’r charchari and Payes. This mahalaya am here in Bangalore and not going home, but still the feeling of puja with the clear autumn sky, with a sole shiuli plant at my neighbour’s have caught me, have wrapped me in its arm. I yearn to go back and touch those times for one more time. I want to wake up early and check my Idli batter that I with a group of friends wanted to sell at Anandamela, I want to cherish the moments when teachers patted our back for selling the whole quantity for a hopping sum of RS.700.I want to go and sit beside my MIL while Hubby did the tarpan in morning, I want to take my Maa in my arms when she came to wake me up and planted a sweet aromatic birthday kiss me on my forehead, I want to see that smile in my elder brother’s face when he said my sister looks best in red, I want to run and go back there to make my son a part of this beautiful community feeling …and as I write this post, with teary eyes I tell myself that’s not possible. So, I tried to create new memories and recreate Bengali’s most cherished breakfast of luchi, Alu’r charchari this morning. After offering Puja I set out in the kitchen to roll out perfect luchis. My heart filled with joy when my kiddo came running to me in the kitchen shouting ‘Uchi, Uchi’. He loved his first taste of this fried flatbread and finished his share by savoring bits by bits. This enthusiasm on his part comforted me, made me look forward to the bright days, a lifetime journey of creating beautiful memories together. 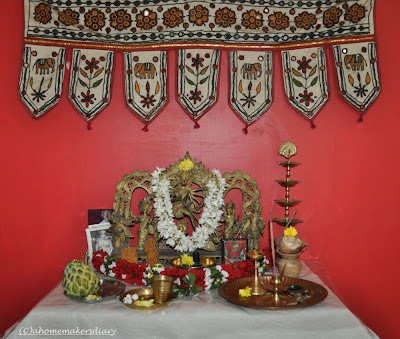 So, this Mahalaya is special to me, as with the abahon (invitation) of Devi Durga we also embarked on a new journey together to cherish each and every moment and touch each and every milestone of our lives shared together. I wanted to post it yesterday but due to the bad bad internet connection could not finish and post. So am posting it as it is today. Sieve the all purpose flour with salt and make a well in the center. Pour the oil(2 tbsp) in the well and mix with fingertips. Add adequate water to make the dough, add water little at a time, if it becomes sticky add more flour. if hard, sprinkle little water and knead again. Luchi dough is needed to be very soft n smooth and this texture is only obtained by kneading the dough (or thasa as we call in Bengali) on an oiled surface. Do the kneading with the heel of your palm. When its done pour another tbsp of oil over it, cover and let it rest for half an hour. This will make the luchis soft and puffed up. Trust me by following this method you will never go wrong with the final outcome. Then make small balls of pinching golf ball sized dough. Roll it tightly between your palm to make it smooth. Press with both hands to make it flat. Cover and set aside. 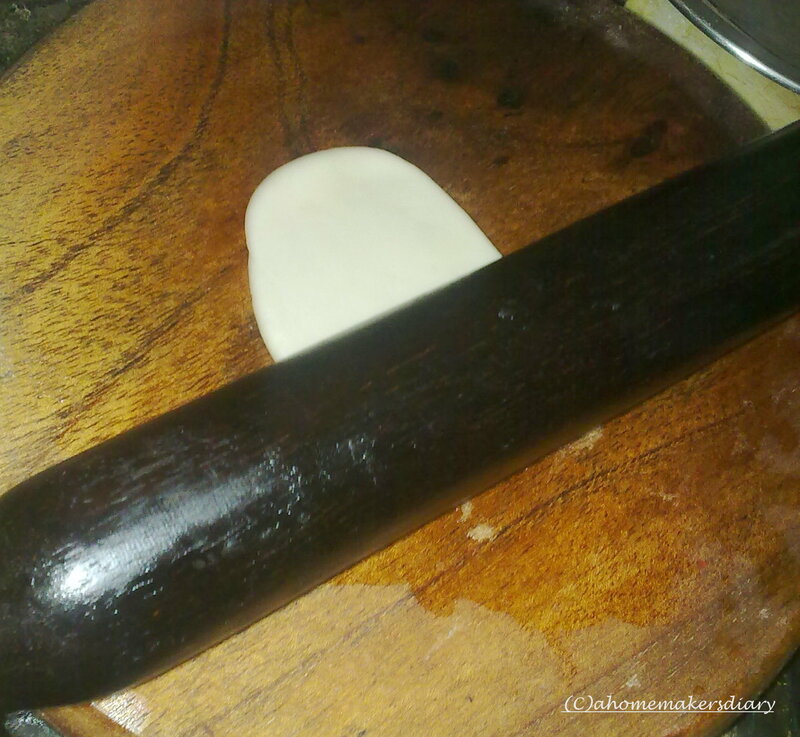 Oil a clean flat surface or the belni and with a rolling pin make small even circles. Keep covered. Heat oil in a deep pan or kadai. The heat of the oil plays very crucial role in frying luchi. It should not be very hot or cold. If you get the right heat the luchi will puff up easily. To check if the oil is hot enough place a small piece of the dough, if the oil bubbles up and the dough comes direct to the surface, your oil is ready. Very carefully release the luchi in the oil and with a slotted spatula (chanta) press the luchi gently. This will puff up the luchi instantly. Once one side turns golden turn it and fry for some time. Using the chanta drain and take it out. Peel, wash and cut the potatoes in small cubes. Slit the chilies lengthwise. Heat the oil and temper with nigella seeds and green chilies. This will splutter a lot so please be careful. Once the aroma of fried spice comes through add the potatoes, salt and turmeric. Mix and fry on medium. Cover and let it cook but stir in between. When the potatoes are half cooked add water and place the tomato at the center. Don’t cut the tomato as this will result in lengthening the boiling time. Also add water as per your choice. We like it with little gravy to dip our luchis in. if you want it dry don’t add much water. Once the potato pieces are soft and little mushy mix the tomato in the gravy. Check seasoning and serve hot with luchis. 1. Its better to get someone to roll out the luchis while you can do the frying. If you roll them beforehand you always run the danger of getting hard and crisp flatbreads. 2. Don’t compromise on the shortening or you will get hard luchis. 3. The kneading of the dough is very important to get the right texture of velvety smooth and soft dough. 4. smear the prepared dough with oil and let it rest for at-least 15 minutes. This will result in perfect soft yet puffed up luchis. 5. Always use oil to roll out the luchi. 6. I can’t emphasize enough on the importance of right heat for the deep-frying. This is most important to get puffed up flatbreads that resemble a round ball. 7. Sometimes I add chopped onion to the alu charchari. for that after tempering the oil with nigella and green chilies add chopped onion. Once they turn transparent add potato and proceed there after. this mindless blabbering goes to Pree's beyond five days of Durga Puja. to Ayeesha's anyone can cook at Taste of Pearl city. to CFK: festive foods this month hosted at Veggie Platter, an event started by Sharmi of Neivedyam. 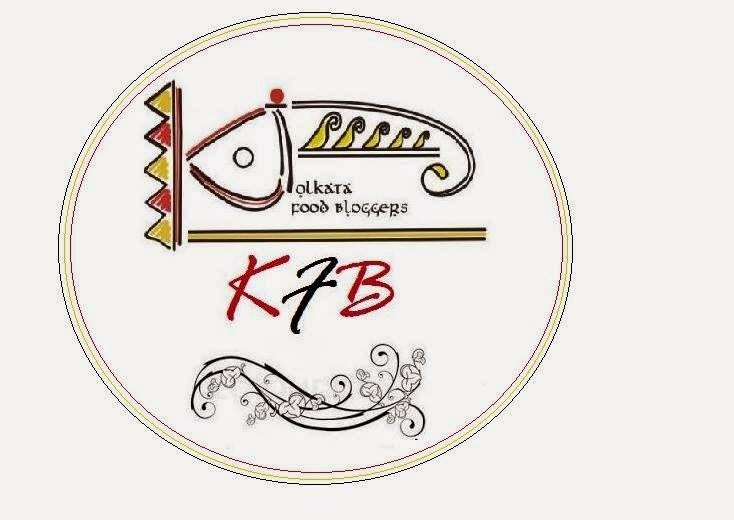 Only series: festive food this month hosted at Khaugiri and originally conceived by dear Pari of foodelicious. BTW..tui ato raat e jege achhish??? Those luchis look sooooooo good! have a blissful durga puja! Apurbo likhecho..I had goosebumps while reading it.. Happy Birthday !! I am sure each one of us feel as nostalgic as u specially during these festivals..loved ur sentimental feelings and empathize .. Wish you a very Happy Birthday dear !! I hope your day was as warm n beautiful as it used to be. Your write up is very touching .... reading it brought tears to my eyes too. And about the Luchi n Alu dum both look extremely yumm. Many many happy returns of the day dear..what a fabulous day to have a birthday on..Luchi with aloo charchari look awesome! totally relate with practically every word you have written here..I guess it is so true that we miss those good old days but wake up every morning trying to give our kids those same precious moments that our parents gave us! Happy Durga puja to you and your family! Shubho Pujo Sayantani! Thanks for sharing the culture with us. The Shubh din of any community bring in so much vigor to the jaded everyday life. Even at my home in Thal the Ghatsthapana (devi in from of mangal kalash) was done on Thu night. First of all tomar Pujor din gulo khub bhalo katuk. Post ta pore pujor mood e eshe gelam. That reminded me even I have to prepare Luchi & Aloo Chacchri. Moreover my parents have also come from Kolkata. A beautiful write up followed by a yummy recipe...Looks delsih..
the luchchis look so wonderful... nicely puffed with such a super thin crust. Luchis are puffy and alu charchari yummy. Thanks for visiting. You have a nice blog. 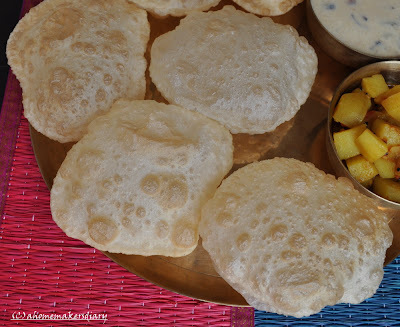 Fluffy luchi and alu charchari makes me drool, happy durga puja Sayantani..
Nice recipe and good read, sayantani. Happy birth day to you. Enjoyed reading the write up. 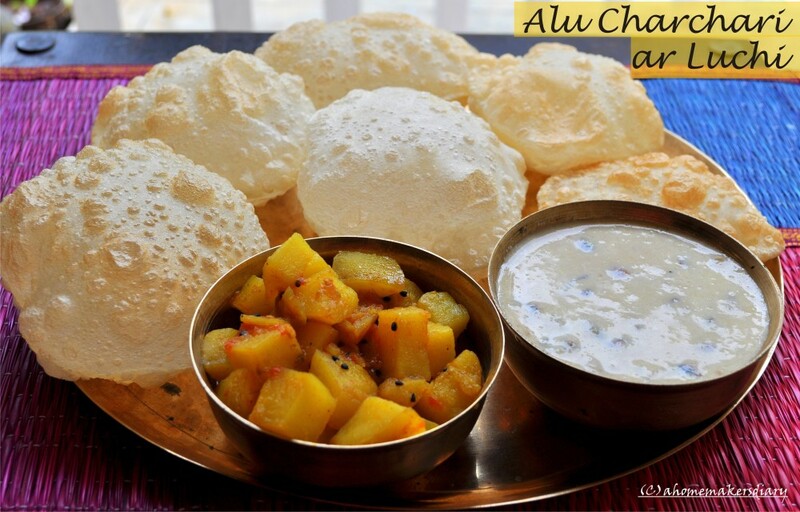 Luchi and alu charchari looks delicious. Heartiest wishes from my side Sayantani.I really missed your comments on my posts :) Thanks for taking time out. I know its busy in puja times! I really wish I would be able to prepare such terrific looking lucchis some day :( The charchari looks soo yummy.I was introduced to pui shaak after the wedding in charchari preparation for the first time...fell in love with it! Happy Durgostav to you n your family! Wishing you a very happy birthday and Durga Pujor anek shubhecha janai! Luchi aar charchari darun hoyeche dekhte and lekh ekebare nostalgic. I know how it feels when we are far off from our near and dear ones and Ah! for those good old days!! Happy Birthday dear! Touched the heart - so well written! Happy Mahalaya! 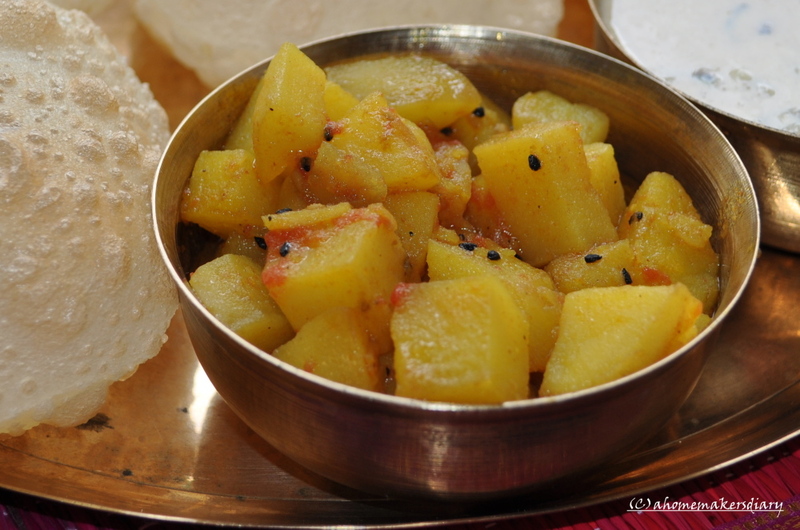 Love alu charchari! Looks so yumm! lovely and tasty puri bhaji..! That Puri Bhaji looks tempting. I cant seem to resist Alu charchari too! Love the fact its so simple home cooking that can taste the best! Yum! 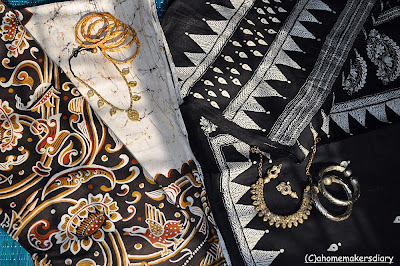 what a wonderful post, Sayantani! Wish you a very happy belated birthday. 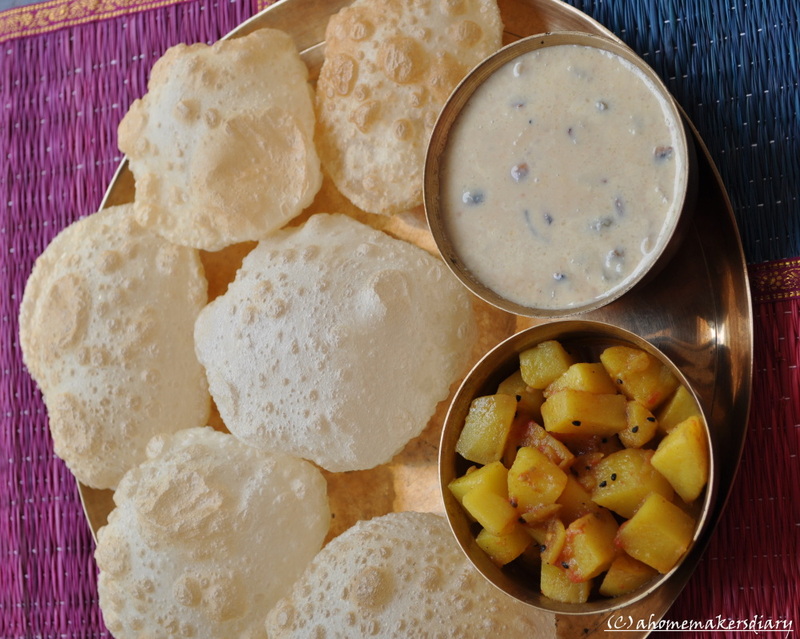 Luchi and alu charchari looks so delicious and perfect start to the festive season. Belated birthday wishes to you, Sayantani..Beautiful writeup!! Luchi looks perfect, very well-explained..Aloo charchari sounds and looks yummy..Simple and delicious recipe..
That looks like an amazing meal. Belated B'day wishes.I was very busy with other works .Both the dishes look delicious. Thanks for sharing such unique pics. very beautiful.Wish you a very happy Navratri! 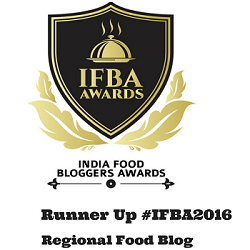 The Luchi / alu rocks! Wow everythign looks so tempeting and devi's clicks are so devine..
inviting platter.. luchis look perfect! Happy Birthday! Ki shundor post! monta kharap kharap korchay, shob miliye... I feel like smelling the shiuli ful. Nothing like gorom gorom luchi ar alu chorhori. Still haven't developed the taste for the Poori:-) ei shada shada luchi i best. Great post! You just reminded me of home. And that alu charchari is making me nostalgic! nice post..luchi n curry looks absolutely delicious..
Sayantani, Belated wishes my dear. Hope you had a great day. I loved the way you explained everything here. Aloo Dum looks fab! 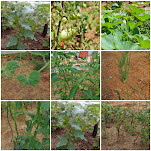 In Andhra the white flowers with orange stems are called "parijaatam". My mom has that plant. brought back so many memories. thanks everybody for your wishes wish you all a very happy puja in return. glad that you liked the luchi tarkari. i've never made luchi, but heard abt it..sure,will make one evening foor dinner..I like ur's...all puffy puffy luchi's..
wow wow!!! what's the white thing in the other bowl? Payas ki?